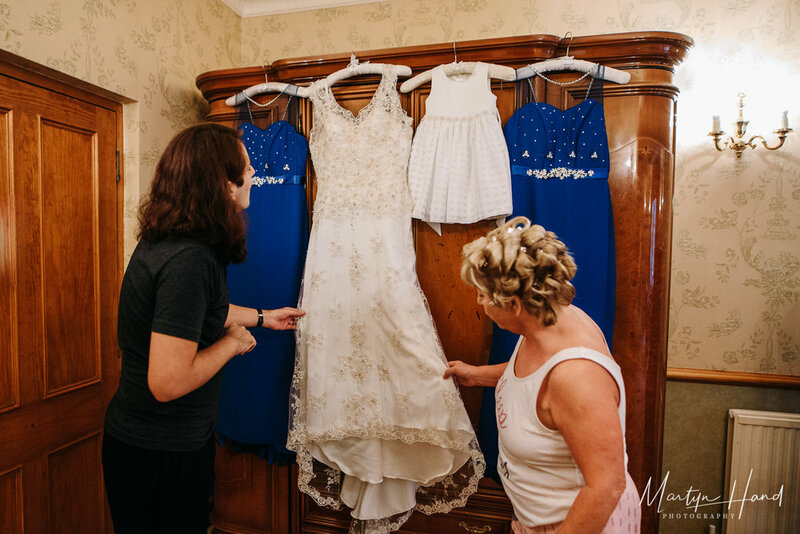 My day started out joining Lorraine and her ladies for a pretty relaxed morning or bridal preparations and lots of laughter. 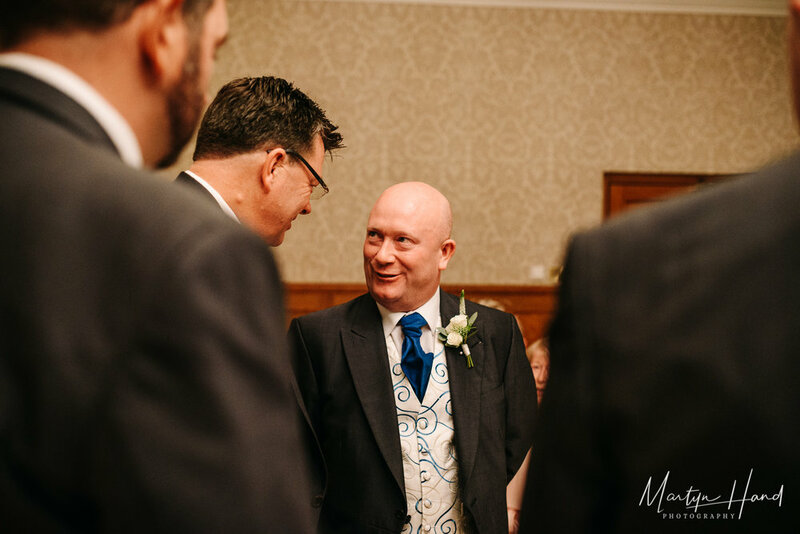 Simon and his groomsmen had got ready at home but they arrived with plenty of time before the ceremony to greet guests and let me get a few snaps of them adding their final touches to their wedding suits. 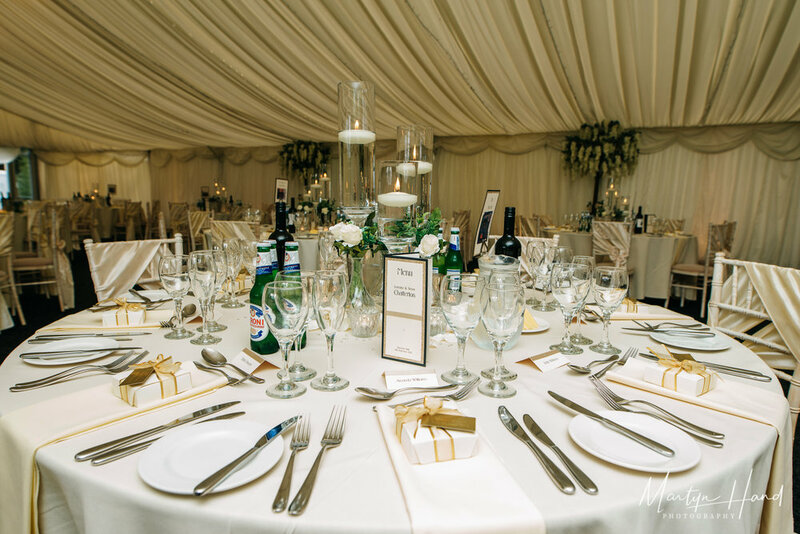 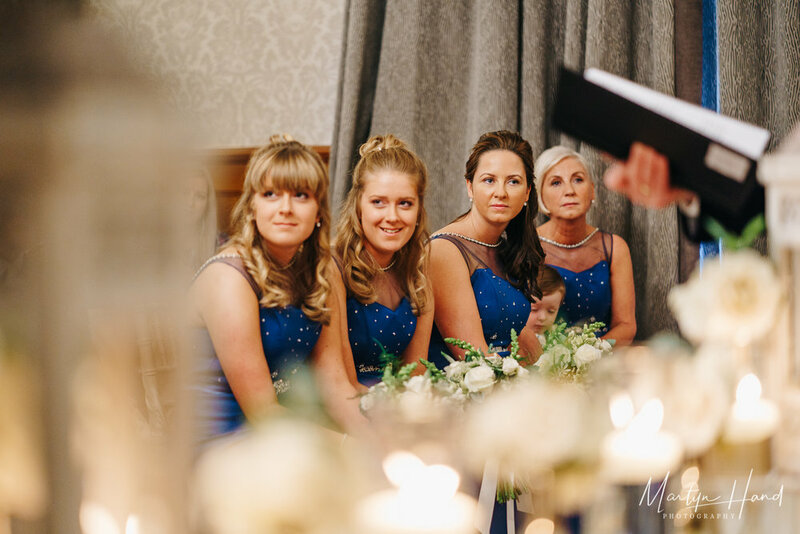 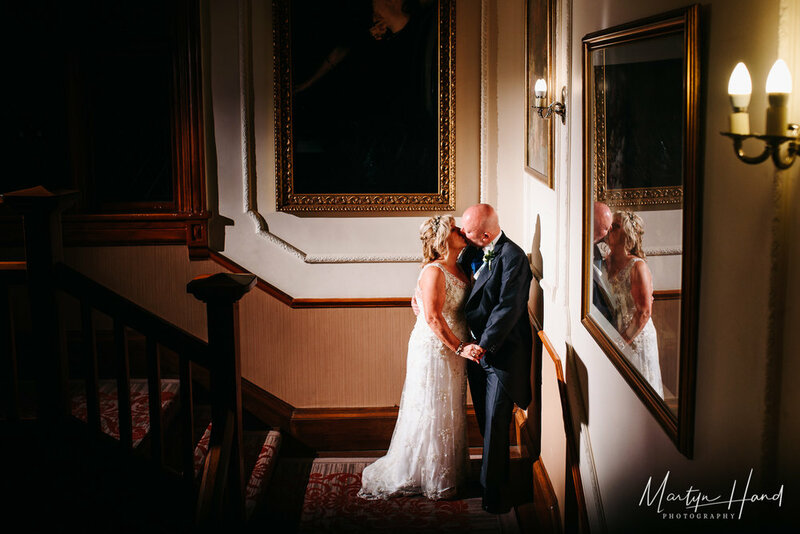 Once ceremony time arrived, everybody made their way into the Oakmere suite which looked truly stunning. 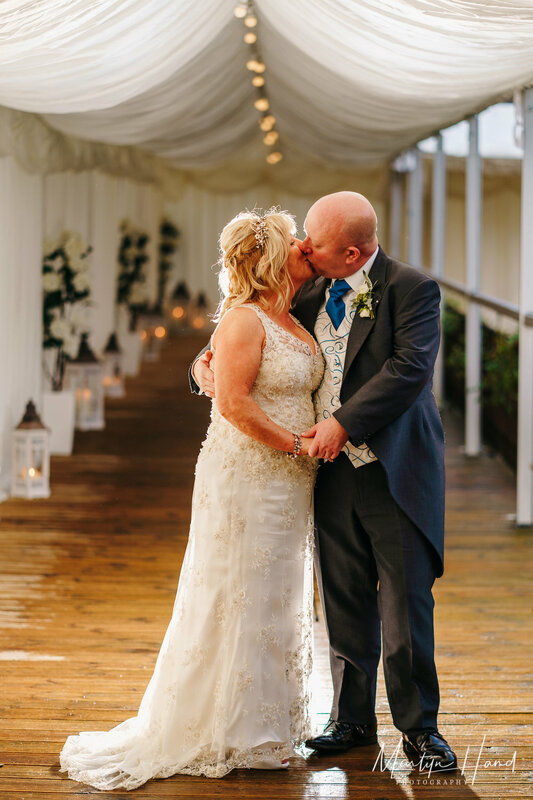 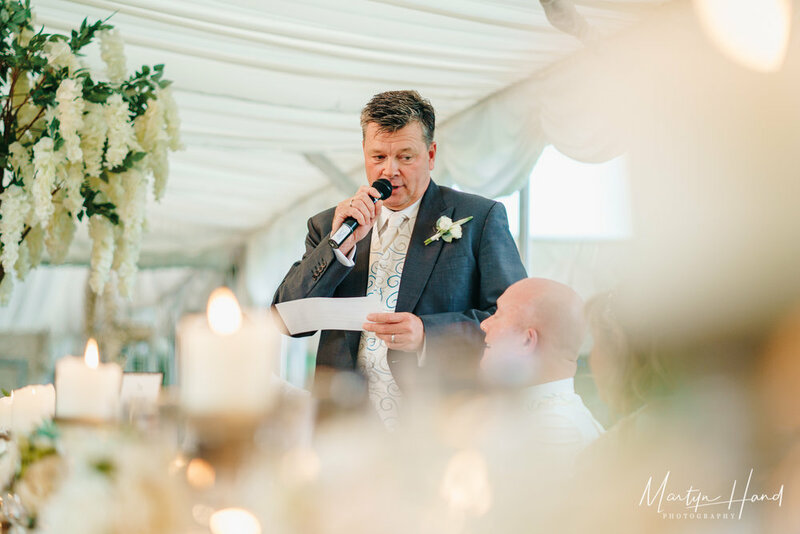 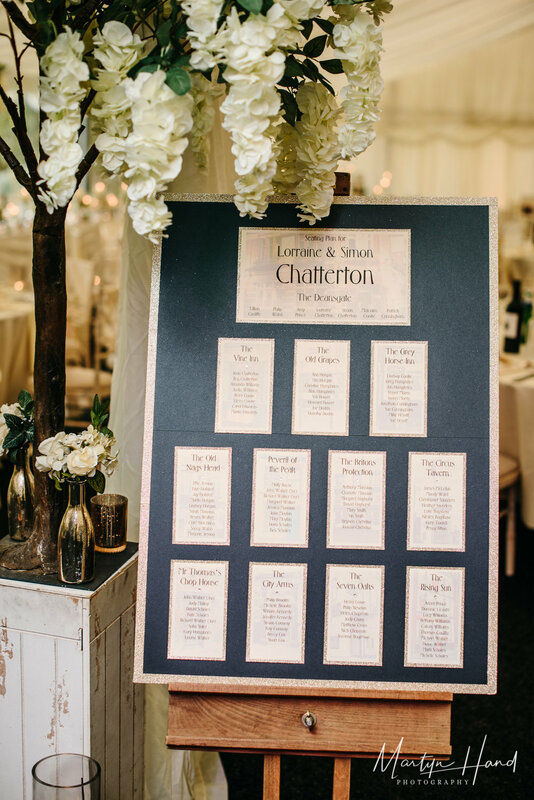 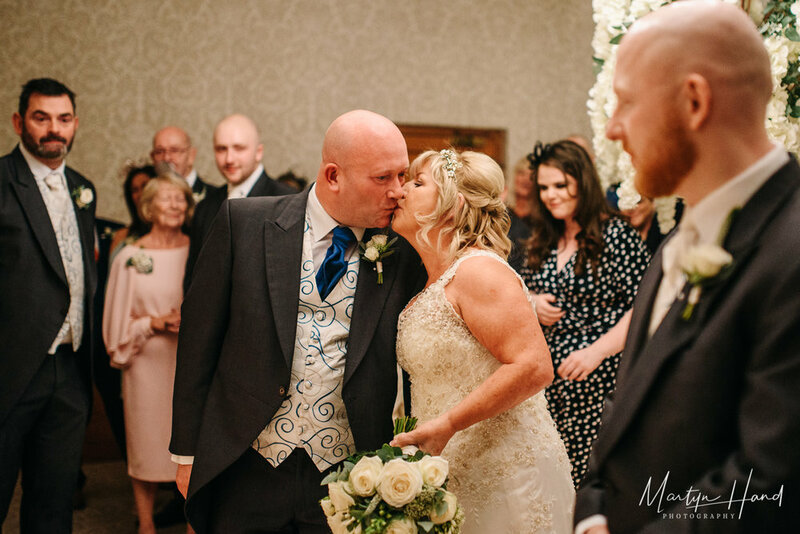 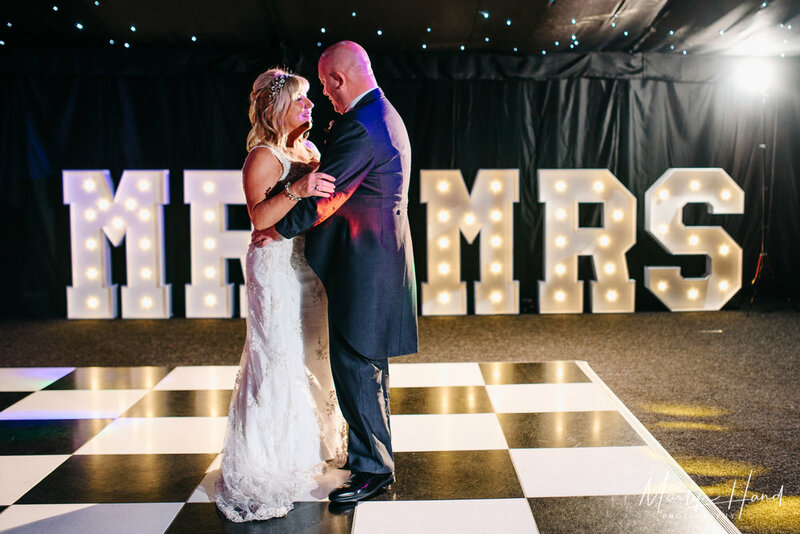 The aisle was lined with candles, lanterns and beautiful floral decorations that fit Lorraine and Simon’s day perfectly. 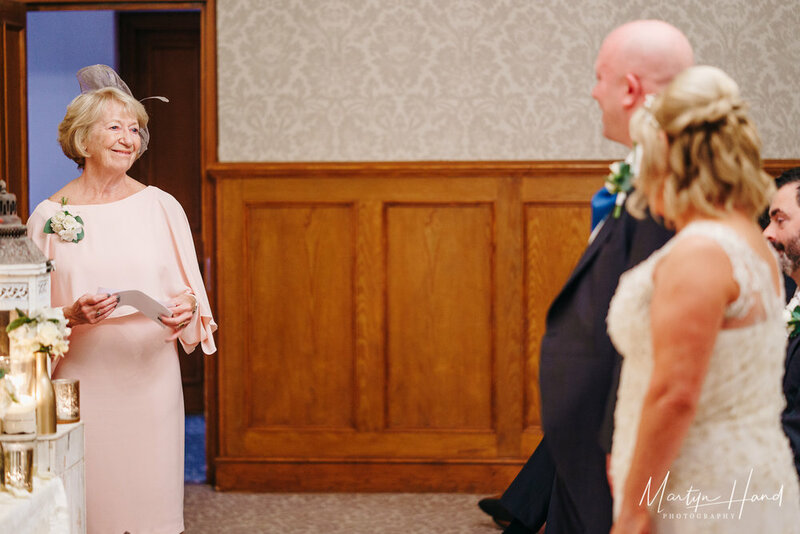 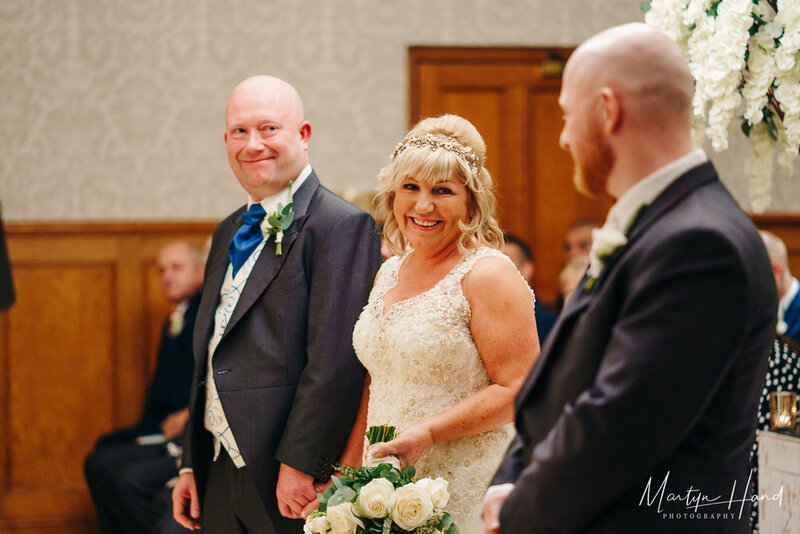 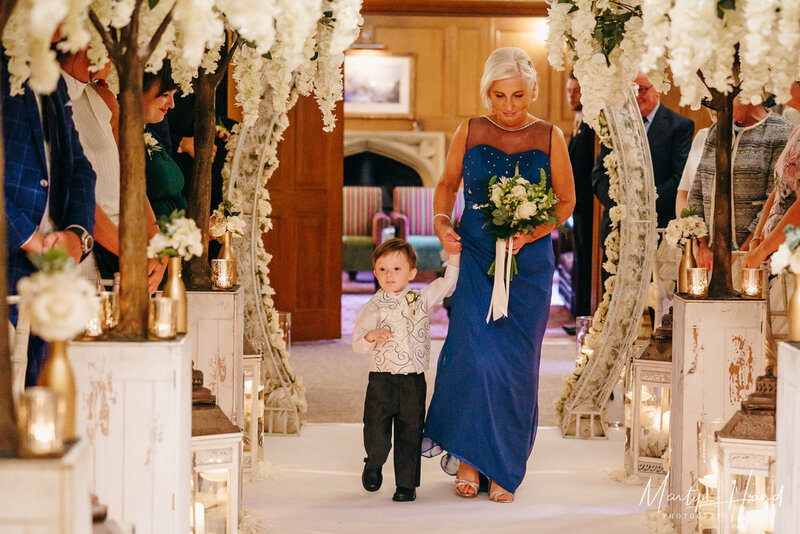 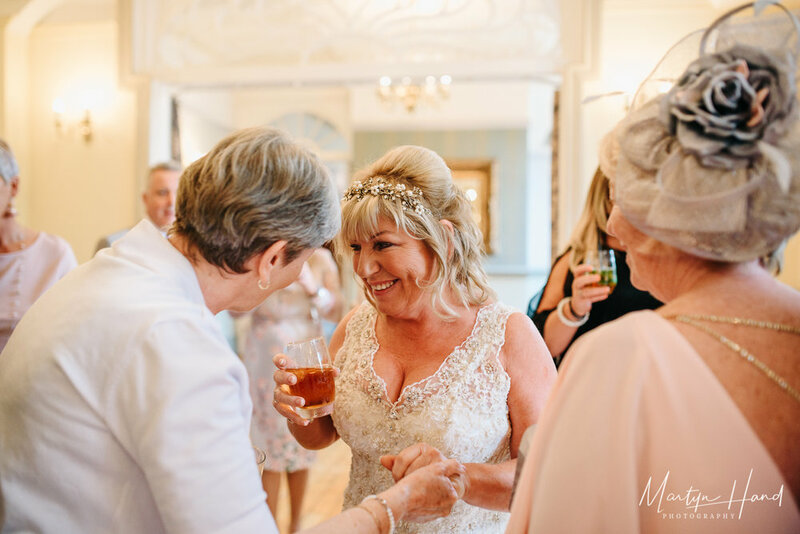 Lorraine’s grandchildren, Sonny and Marjorie, joined the bridesmaids walking down the aisle before Lorraine made her grand entrance, stunning all of her guests in her elegant hand made wedding dress. 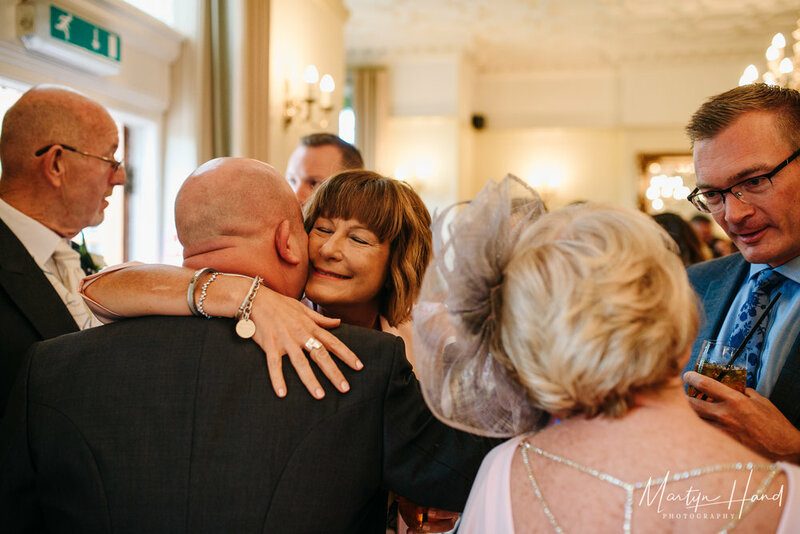 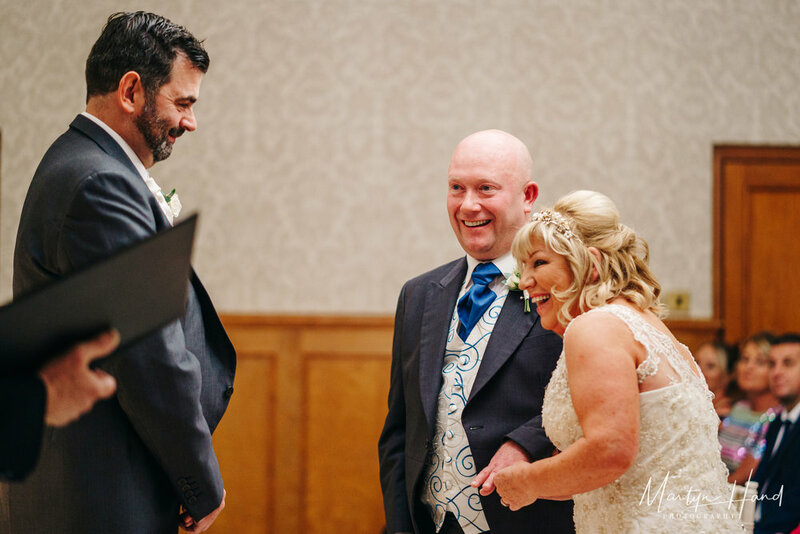 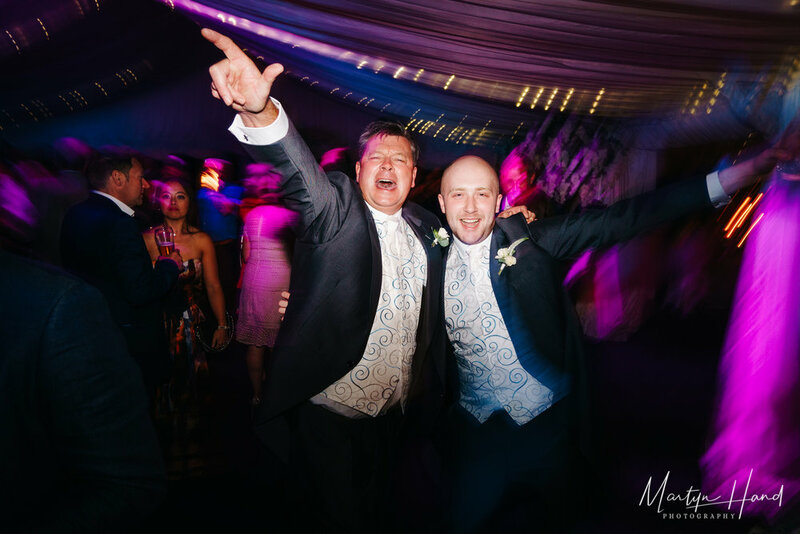 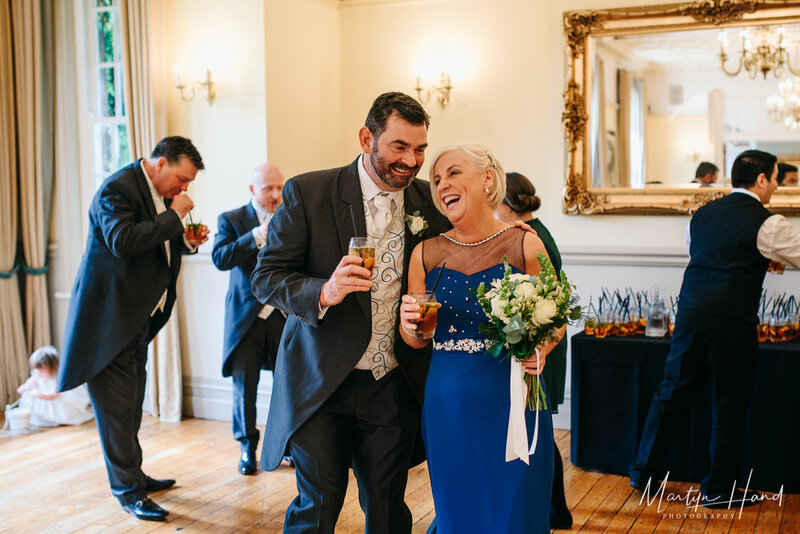 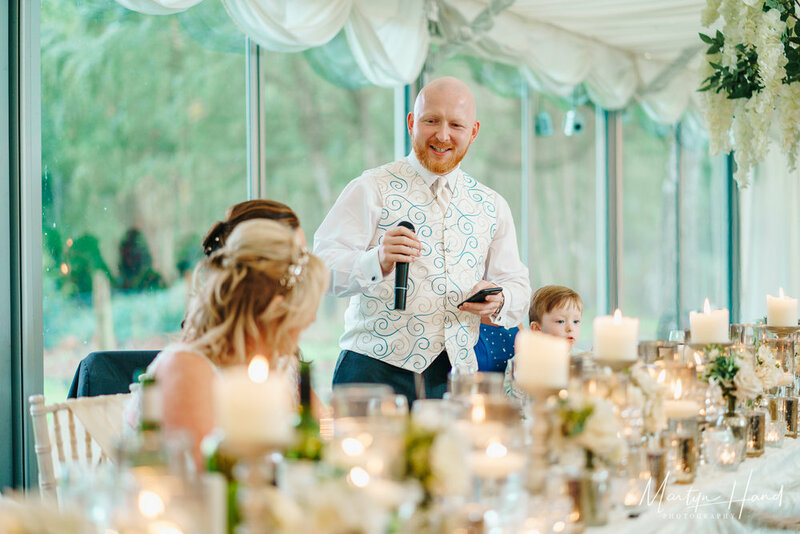 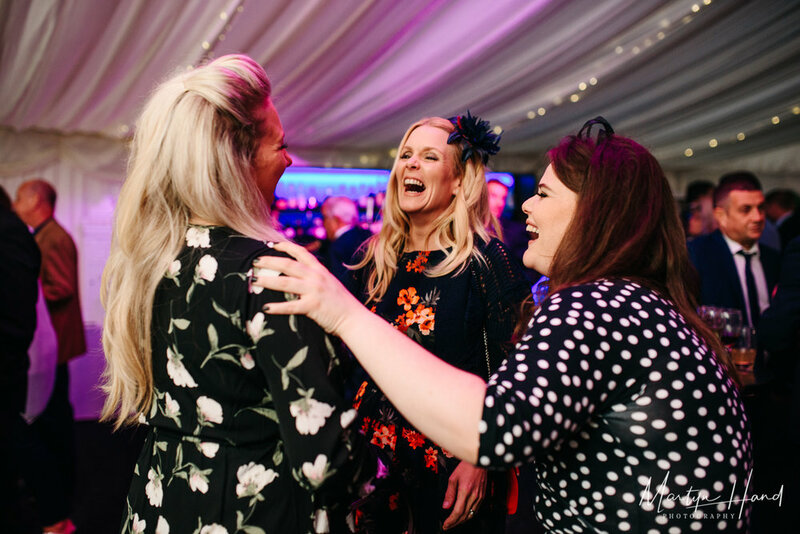 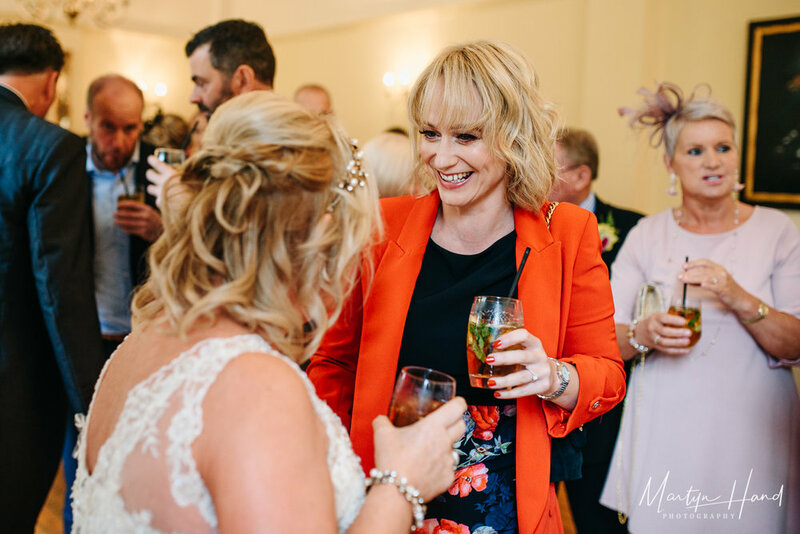 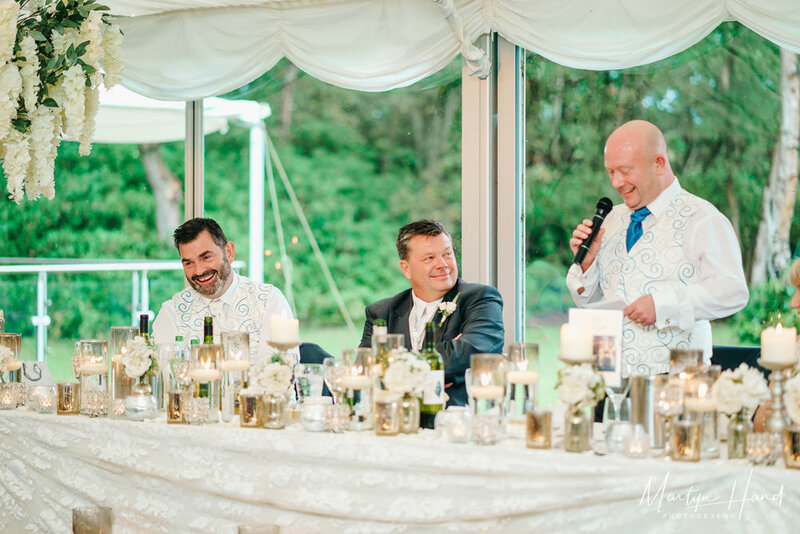 There were plenty of smiles and laughter during the ceremony and after our happy couple officially tied the knot we moved on to the drinks reception, which was just when the sun decided to make the day even brighter. 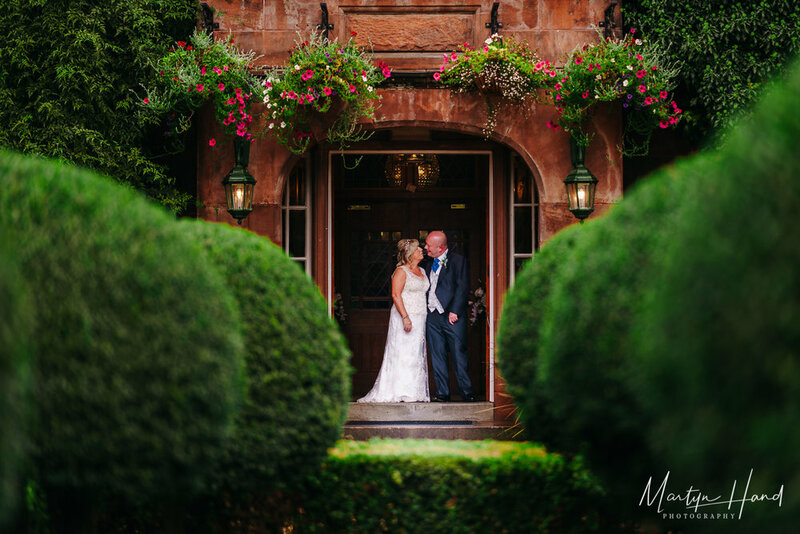 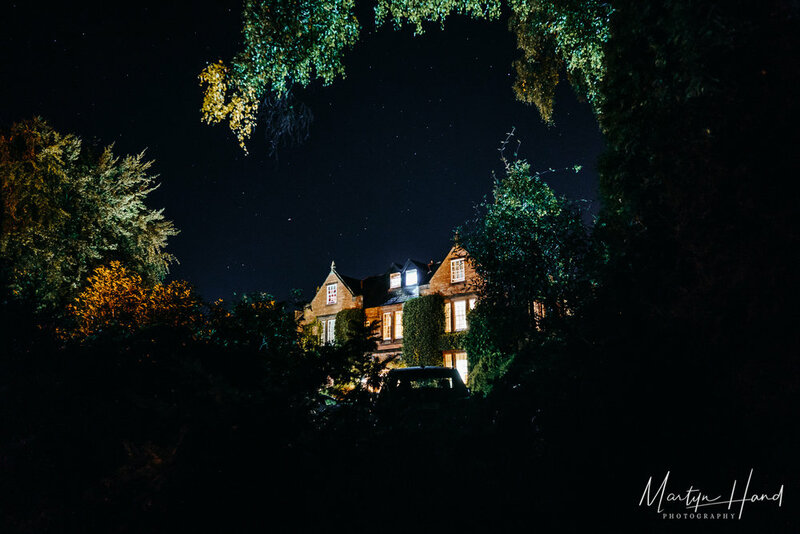 A few group pictures in the stunning gardens of Nunsmere Hall were a must, before everybody moved into the Marquee for the the all important speeches and delicious wedding breakfast. 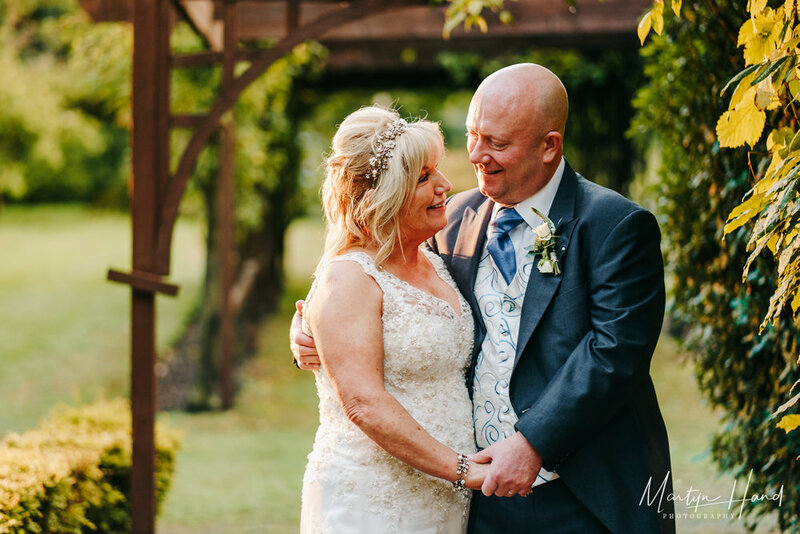 After everyone was well fed, we had a little time just as the sun went down, to grab a few more relaxed portraits in the gardens before Lorraine and Simon’s the evening guests arrived and the final official duties of cutting a cake and first dancing commenced. 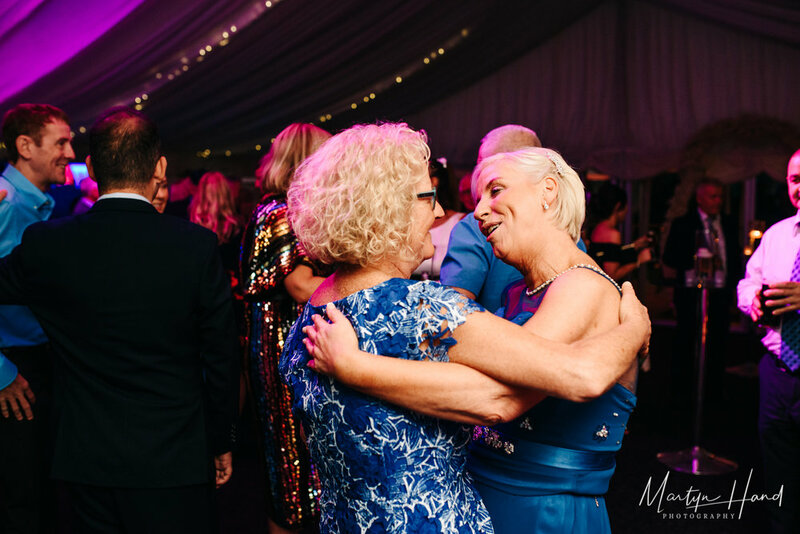 Once the party was in full swing I bid Lorraine & Simon fairwell and let them dance the rest of the night away with their guest. 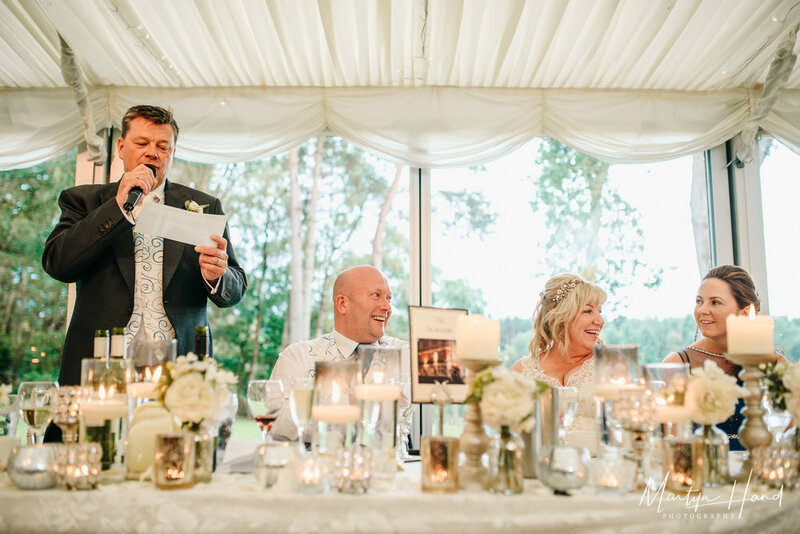 Below are a selection of highlights from their day. 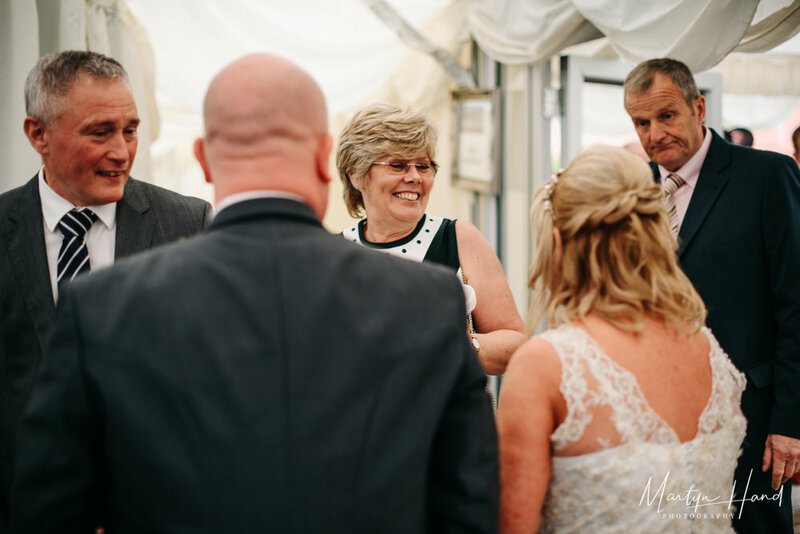 If you save or share any images on social media then please retain the Martyn Hand Photography logo where possible. 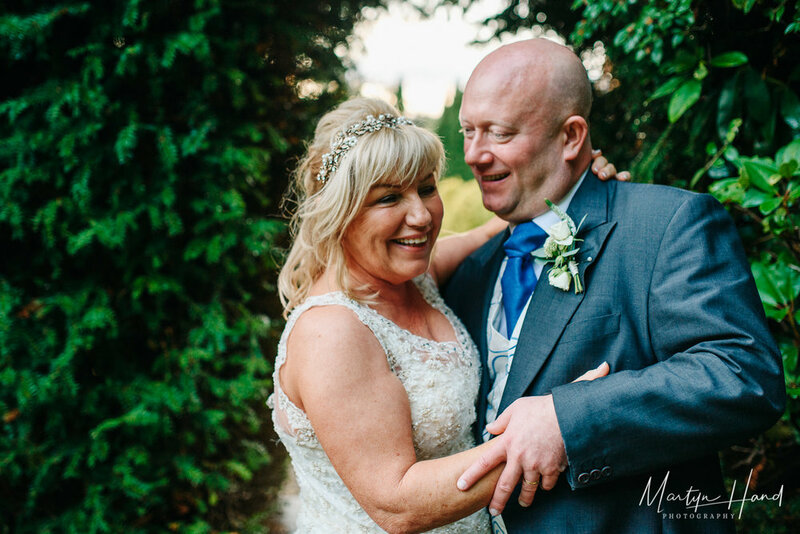 Thank you Lorraine & Simon for having me along for your day!